Feeling charmed by the promise of Kotor’s offerings and a visit to this shining gem in the Adriatic? Do not hesitate to call or contact us here. Your friendly Abberley consultant is on hand to help you arrange your next perfect charter vacation in Kotor. If you have a taste for the usual and exotic, then the Montenegrin city of Kotor rates among Europe’s top yachting destinations. It’s conveniently located, too, at the very heart of the continent. 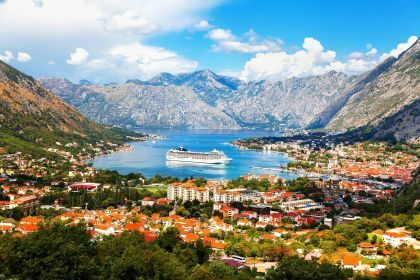 You’re guaranteed to be bewitched by the crystal-clear Adriatic, state-of-the-art marinas, the imposing grandeur of Montenegro’s mountains, monasteries and fortifications from the Medieval and Renaissance eras, and, of course, delectable cuisine. Kotor is located on the Bay of Kotor (Boka Kotorska), one of the most indented parts of the Adriatic Sea. Some refer to it as the southern-most fjord in Europe, but it is a ria, or a submerged river canyon. With the overhanging limestone cliffs of Orjen and Lovćen, Kotor and the surrounding region create a picturesque landscape. Your adventurous spirit cannot but be stimulated by the roughly 65 miles of shoreline with numerous medieval towns to explore. 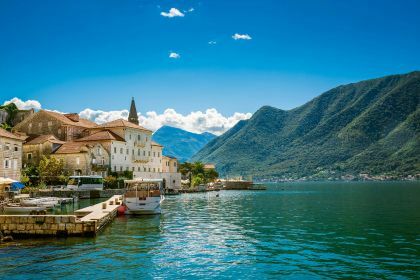 Kotor, Tivat, Dobrota, Risan and Perast attract scores of adventurous travellers, including yachting enthusiasts, connoisseurs of art and history, diving aficionados and pilgrims. 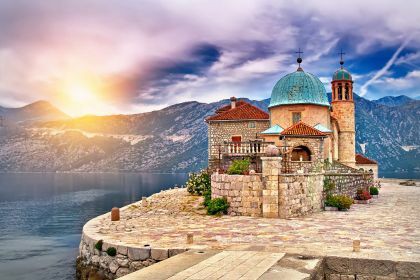 Kotor is as close as you can get to the Ostrog Monastery, one of Montenegro’s most frequently visited sites. It is widely believed that praying in front of the relics at the monastery will bring much good fortune. Whether you believe this or not, the monastery, carved deep into the rock above the fabulous Bjelopavlic Valley, is a masterpiece of human hands as well as Mother Nature, and any trip here will leave you with happy, lingering memories. If you explore the old town of Kotor, you’ll eventually find yourself near the imposing Kotor Catholic cathedral of St Tryphon, with its iconic square twin towers. Unbelievably, the cathedral dates back to the 1100s. A stroll through the cathedral will reward you with a spectacular organ, Corinthian columns, medieval frescoes, interesting artefacts, lush paintings and a rather eerie 12th-century crucifix. Another unmissable site in Kotor is the Fortress of St Ivan. To get there, you’ll have to trudge up the almost 1500 steps to the top of the city walls. It’s somewhat challenging, especially in the heat, so don’t forget to take some water along. As a reward for the long climb, you’ll be treated to breath-taking elevated views of the town and the bay. And if the thought of all that thigh-burning exercise is too much for a relaxing holiday, kick back on the deck of your luxury yacht and enjoy the scenery from there. The panoramas from the yacht as you cruise along the shoreline are lush and gorgeous. 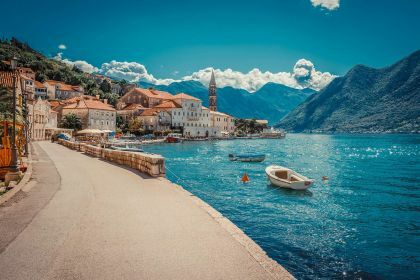 One of the many joys of having a luxury yacht at your disposal is the ease with which you can visit the remarkable Boka Kotorska islands. Take the island of Our Lady on the Rocks, for example. It’s an artificial island created around a small cliff in the sea, where, in the 15th century, it is believed that sailors found an icon of the Virgin Mary. Since that time, locals have been bringing rocks to the cliff, and now it’s an islet large enough to house several buildings. The biggest of these is the church of Our Lady on the Rocks. The St George islet is smaller, but it houses a tiny Benedictine monastery and graveyard. You are sure to be captivated by this unique islet. Kotor will also enchant you with its culinary treats, offering only the best of authentic Montenegrin cuisine. As well as typical meat dishes, Montenegrin lamb in milk, prsuta, local cheese, grilled kebabs and vegetables, you will taste heavenly seafood dishes made of the freshest ingredients. Squid, octopus, shrimp, tuna, mussels and cuttlefish from the catch of the day are transformed into mouth-watering dishes in Kotor’s many restaurants. Feeling charmed by the promise of Kotor’s offerings and a visit to this shining gem in the Adriatic? Do not hesitate to call or contact us here. Your friendly Abberley consultant is on hand to help you arrange your next perfect charter vacation in Kotor.